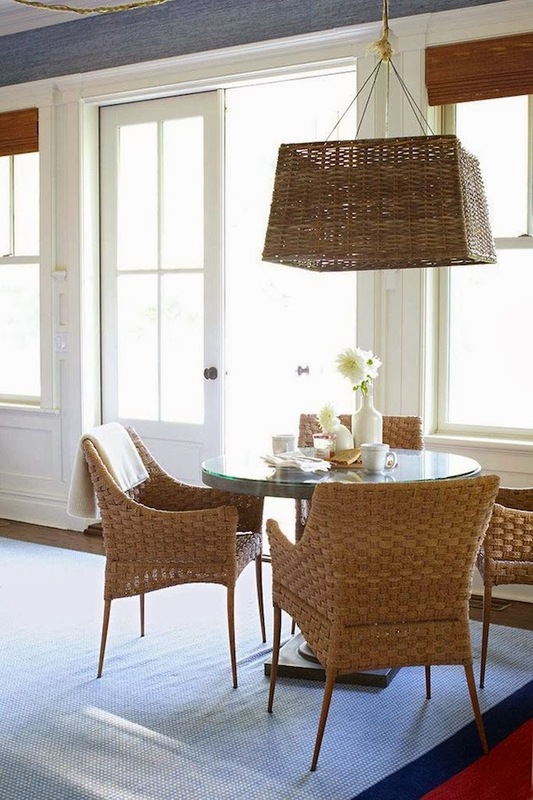 In the meantime, feast your eyes on these beautiful spaces designed by one of my favorite designers, Amanda Nisbet. One of my favorite things about her designs is how she uses fun accessories and pieces of furniture to add a pop of color, style and character to the spaces. 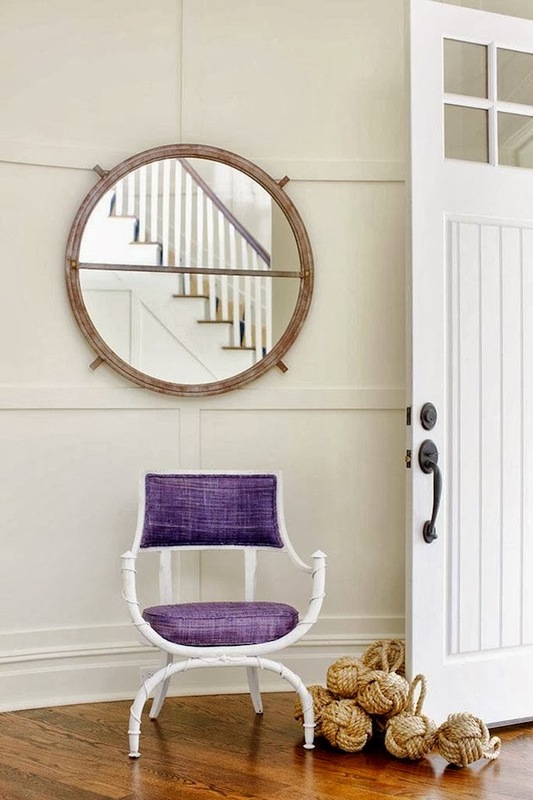 I love that purple chair in the entry and the little chess pieces on that table in the stairway. 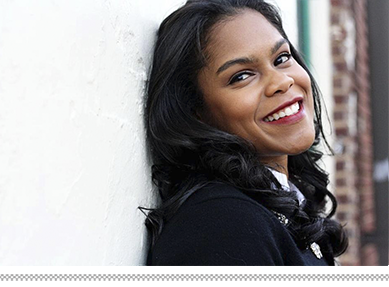 By the way, if you are in the Atlanta area on October 17th, she will doing a design presentation at 6PM at the Pottery Barn - Lenox Mall and signing copies of her book, Dazzling Design. So stop by if you are around! It'll be a work weekend for me, so have a little fun for me this weekend, ok? OH - thank you so very much for the comments and pins of the pumpkin cupcakes! I'm so glad you liked them! Happy weekend! Thanks for taking the time in your busy day to share some pretties with us. Trust you will find/make time to relax during this early fall weekend. Love this post!! 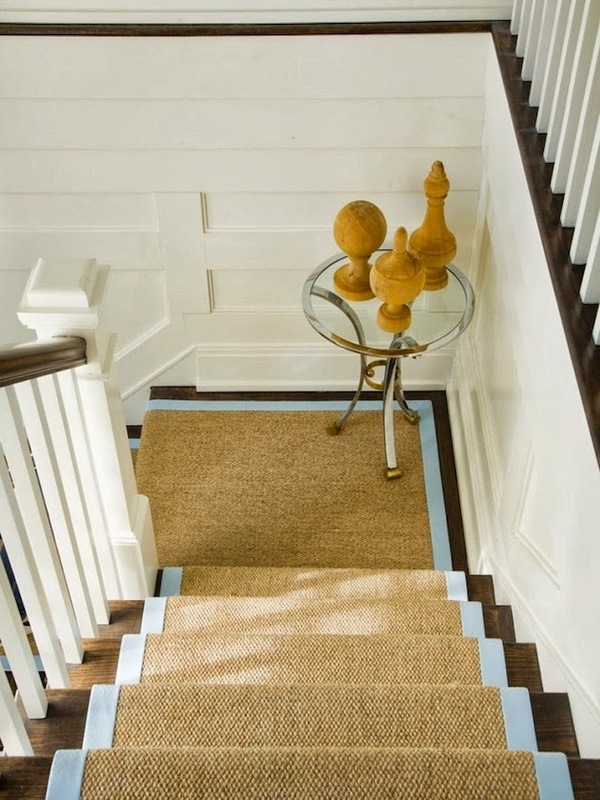 That sisal rug looks awesome! We are flying to Texas on the 17th. I was so bummed we couldn't go!! 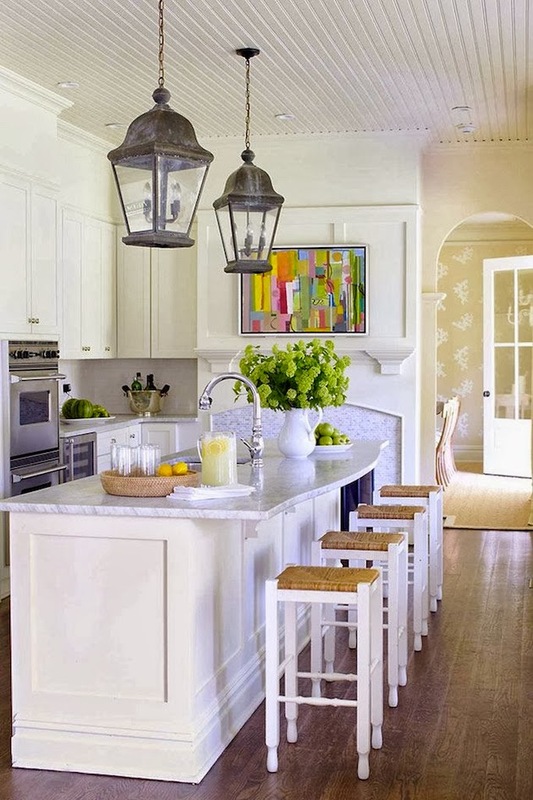 I can't get over how beautiful those lantern pendant lights are in that kitchen!!!!!! Oh so beautiful!!!!! Take it easy this weekend!